(11/P30) TRENTON - State Park Police are investigating a break-in and theft at historic Ringwood Manor at Ringwood State Park in northern Passaic County that occurred in the early morning hours on Thursday, when thieves stole various historic items, including antique weapons, clocks, vases, silverware and paintings, New Jersey State Park Police Director Rick Arroyo has announced. The break-in and theft were discovered on Thursday at 7 a.m. when employees of Ringwood Manor arrived for work at the house, which is located in an isolated, rural area. State Police and Ringwood Police were called to the scene to assist New Jersey State Park Police in an investigation. A complete inventory of the contents of the manor house, which contains thousands of artifacts, is currently being conducted by the State Park Service. Items so far identified as stolen include a circa 1820 Deringer rifle, engraved with the words US H DERINGER PHILAD; a W.F. Hall 7-barrel percussion rifle; three bayonets; one small handgun; a complete silverware set, two antique clocks, one statue, and two vases. The value of the missing items, which date to the 1800's, has yet to be determined. 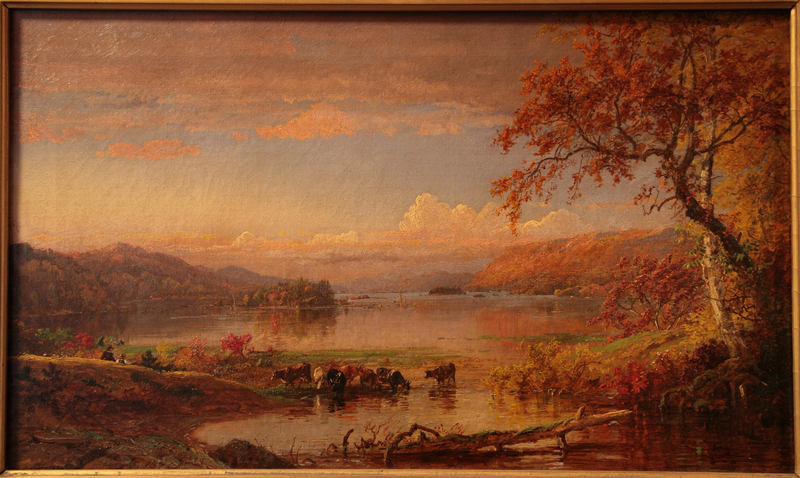 The two stolen paintings are works by noted 19th Century landscape artist Jasper Cropsey. 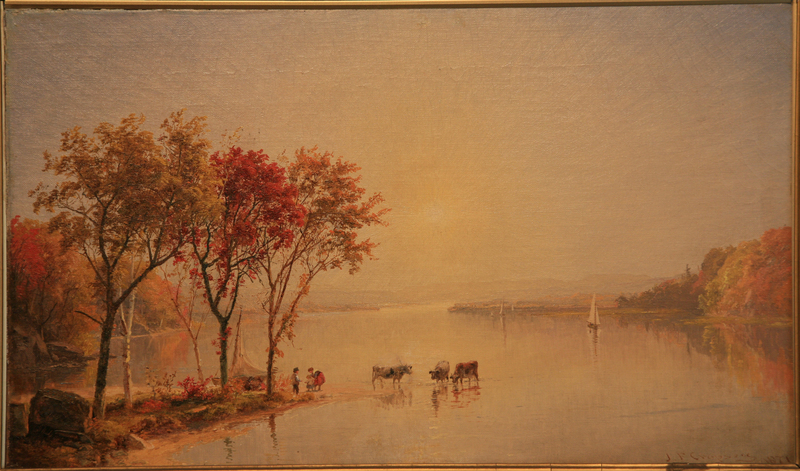 They are "Upper Hudson,'' dating to 1871, and "Greenwood Lake,'' dating to 1876. Ringwood Manor has a security alarm system. It also is patrolled nightly by New Jersey State Park Police and Ringwood Police. Ringwood Manor dates to 1803. It is the former country estate of industrialist Abram S. Hewitt, who purchased it in 1854, expanded it and made the Ringwood estate his summer home. It is located in a National Historic Landmark District. MEDIA: COPIES OF STOLEN PAINTINGS ATTACHED TO THIS RELEASE.